I love really getting to know a new boat and when the plan is to go swimming and flip it several times, you can really push the envelope. 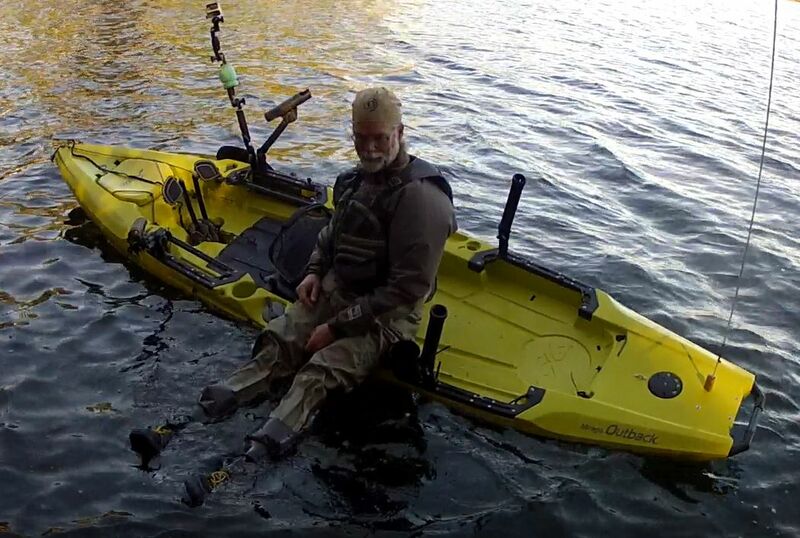 (couple of details: I'm 6' even and 185#, Kokotat GoreTex Supernova Angler suit and Leviathan PFD. Nothing in the front hold, normal rod holders and flag. water: 56F. 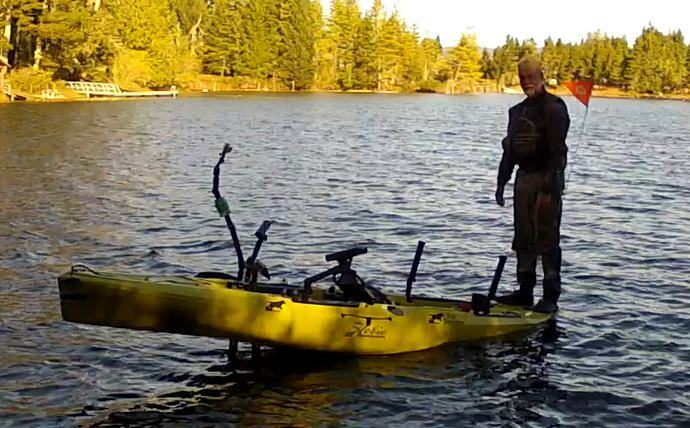 Besides just having fun on a new Hobie, my goal in an emergency situation (mine or someone else's) is to be able to repeat (with confidence) something I have already done in a controlled situation. The new Outback is amazing- this boat fights to stay upright. period. the key to re-entry for me is the rear deck, which is what I was hoping since I plan to keep that area clear and would also use it for canine recovery (planning to practice that in the near future). My best up-righting process is: "climb over the top from the side the paddle is on, grab the unused paddle bungie on the other side, pull the boat over towards you". (the Guardian Transducer mount works as a hand hold and makes it easy to get over the top). Last edited by rogerdodger on Fri Nov 09, 2018 5:06 pm, edited 1 time in total. 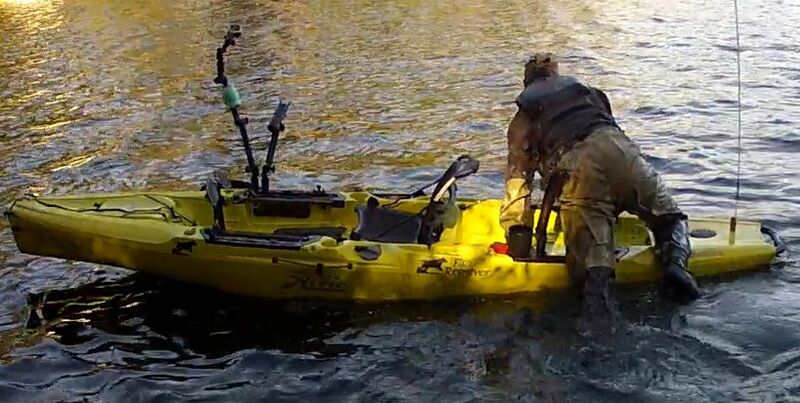 Excellent demo, Thanks for plopping into 56 degree water to make this video!